Google hot trends - Where india is going? planet pulse - Are they fake? 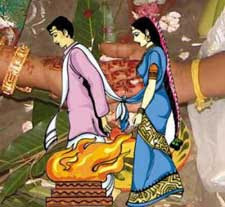 Due to increased demand for Marriage compatibility / Horoscope Match / 10 porutham / pathu porutham i will provide free marriage match report to people who provide their horoscope details. I don't need the actual horoscope, please give your date&time of birth and place of birth. You have to provide both bride & groom's (boy & Girl) details. I can construct your horoscope chart and will provide your compatibility report. By default the report is provided in Tamil language. For those want in English, please specify. I don't charge any fees for this service. However if you want to contribute to website i am designing for this service you can donate some money. The matching is based on the methods used in south India especially Tamilnadu. We also provide astrology consultation and remedies. We have expert astrologers in Traditional parashara (vedic) method, Krishnamurthy (KP) method, Vakiya panchanga and Malayala Prasna. Ple send it My porutham. Ple tell me how is my life. If possible please provide in Tamil and also English. We are looking forward to hear from you as soon as possible. Please provide suggestions and please send me how our life will be!!! i saw poruthams and i got its sayin not compatible but we feeling to get life together..
ramakrishnan, 23-10-1985, 2.40PMchennai, kumbam rasi, satayam star. Girl : 16-May-1985 7.15 PM. Meena Rasi, Revathy Nakshatram. Boy : 1-May-1984 4.30 AM. Mesha Rasi, Bharani Nakshatram. Please send us the porutham and pls tell us how our married life will be..
when i can go to abroad ? let me know my future life hows going on .. Please provide porutham for the following. Thank you. pls give matching results for our marriage. Could you please check whether these two jathakam matches if not is there anything we can do to rectify the dosh.. Please send it My porutham. Email, ID : poojahariram@yahoo.com, when we can have a baby. Boy: Girish P, 10 may 1989, 6.05pm, Nagercoil. Hi sir i need a jathaka porutham.